Do you feel that you sometimes sabotage your weight loss efforts but don’t understand why? Do you want to get to the root of why you eat when you are stressed, bored, sad, upset etc and find out how to stop doing this? Do you want to understand what might be stopping you from getting to a healthy weight and staying there? Do you want to stop cravings and bingeing? Do you want to give your weight loss surgery the very best chance of success right from the start? Have you regained or are you unhappy with the amount of weight you have lost following your weight loss surgery? Do you feel your relationship with food is an unhealthy one and that it is stopping you from being successful? If the answer is yes to one, or more, of the above questions then Bariatric Coaching would be really beneficial in helping you. Research has shown that the vast majority of bariatric patients have suffered from some form of eating disorder and evidence shows that an eating disorder stems from the mind rather than the body. Without dealing with the reasons why we became obese in the first place and changing those limiting beliefs, we cannot effectively recover from the eating disorder and, even with surgery, we will still be a slave to all of our old thinking, behaviours etc. However, basically, it is not your fault! Your mind is doing what it has always done and, believe it or not, there are usually very good reasons for your mind leading you back to eating, bingeing and regain. Something in the past will have triggered you to use food as a comfort or a protection mechanism. You just need to reprogramme that thinking and hopefully with my help we can do that together. Now is the time to recognise that, to lose weight and change the way your body looks and feels for good, you must first change the way you think. Why? Because everything you do is preceded by a thought. Some you are aware of in your conscious mind, but most of the time you run on “automatic pilot”. Your beliefs and behaviours around food have been formed over many years and are deeply installed in your unconscious mind. The way you think and feel about food, and yourself, determines everything you do, including what you put in your mouth, and how much you move your body. This determines what size and shape of body you have. If you want to change it, you have to change the way you think. Identify underlying emotional drivers causing you to eat, and how to heal them. Learn to identify why you are holding onto your excess weight and why it benefits you. Then help you learn to reprogram your mind to let go of the weight. Explore nutrition for you and your weight loss surgery tool and learn how you can work with your body to ensure that your physiological craving instinct is minimised. Why should you choose me to help you? Well the first and most important thing is that I have been exactly where you are now! I know what it is like to feel the despair of continually trying to lose weight, going on diet after diet and feeling a failure every time. I also know what it is like to be a weight loss surgery patient. I have had a gastric sleeve myself and so I completely understand what brought you to making that life changing decision, what you went through for your surgery or are about to go through and how important being successful is to you. I spent over 20 years yo yo dieting and every year I gained an extra half a stone. Eventually, I was at such a low that I knew I had to do something drastic to change so I went abroad to have my surgery. However, I knew it was only half of the story for me; I knew that it wasn’t just about portion size, it was about my relationship with food. I was a food addict! I used food as an emotional crutch and therefore I knew I had to change that if I was to be truly successful and that Is where my journey to become a Bariatric Coach started. I enrolled on a course to qualify to become a Master Practitioner in the treatment of Eating Disorders and Obesity at the internationally acclaimed National Centre for Eating Disorders. Here I worked through many of my own issues with food, relationships and body image and trained to be able to help others with issues of obesity, eating disorders and weight management. I have found my relationship with food has completely changed. I am now able to eat just one biscuit which previously would never have happened. I don’t obsess around food, I have very few cravings and I am able to eat most foods with moderation. Furthermore, I have also found that I have learnt techniques that have helped me improve my relationships with others, become more assertive, value myself more and generally enjoy life to the full. Speaking to many of the other therapists on the course, including doctors, psychiatrists, nutritionists and bariatric nurses, it became apparent that there was a very real need for a private coaching service to help the thousands of people who have suffered with eating disorders such as bulimia and compulsive eating, who have then gone on to have weight loss surgery as a means of controlling their weight. The NHS does what it can, but many bariatric centres struggle to provide one to one counselling or coaching for individuals and often these services are too short. As for the many private patients both in the UK and abroad, they often receive no psychological support whatsoever. I decided that what I truly wanted to do in life was to help others in the same situation as myself. I wanted to provide people with the tools and support to empower themselves to succeed with their weight loss journeys and other life hurdles. With the advice of the National Centre for Eating Disorders and other professionals who attended the course, I worked on adapting the guidelines provided to suit the specific needs of Weight Loss Surgery patients and the rest is history. I am now also an NLP practitioner, a level 2 EFT practitioner with Matrix reimprinting, a Hypnotherapist and have studied various other courses including Energy Medicine, counselling, nutrition and psychoanalysis courses, enabling me to provide you with the very best techniques and toolkit to help you, regardless of your circumstances. This is not ordinary weight loss coaching, this is personalised, individual coaching, specifically for future or current bariatric patients which includes not only face to face, telephone or skype coaching sessions and nutritional support, but daily interaction through an online food journal, full email support and a fully individualised programme of therapy, designed with your exact goals in mind, working on your personal issues around food and any other life issues that may be appropriate. I also work with the support of Van Patel, an NHS qualified bariatric nutritionist who will start your coaching by offering you a 90 minute session to help you identify a programme of nutrtion tailored to your specific surgery and dietary likes and needs. Now I am not going to promise you it will be easy, it won’t. It is not a quick fix or a crash diet; it is a programme of nutritional guidance, accountability and psychological intervention at a very deep subconscious level that requires motivation, honesty and courage and often brings up some deep emotions which can sometimes be uncomfortable. That’s the hard part… but the good news is that it can free you from food forever…. you can change your relationship with food once and for all, so that you are no longer driven by what you eat, how much you eat, where you eat etc. I will help you to become completely free of your eating obsession. However, I can’t do the work for you, it isn’t a passive process, it is a process where we work together every day to enable you to reach your goals. You are not alone, you have your very own personal mentor to help you each and every day for as long as you wish. Bi-weekly 60 minute 1:1 coaching sessions, either face to face in my therapy rooms in Wincanton, Somerset or online via Skype. Keeping an Online daily food, behaviours and feelings journal with fully interactive and immediate support from myself, available also as an app. I currently offer two different levels of support which you can choose from, dependent upon your circumstances and budget plus maintenance coaching to help you continue after your coaching course ends. You can choose to pay for your coaching either on a monthly basis, or to pay up front at the beginning of your coaching course and receive a discount. 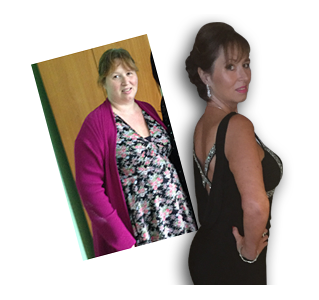 This programme is ideal for people who are at the pre-op stage, wanting to make changes quickly or are wanting to get back on track after experiencing weight gain some months out from surgery. However, if you have a lot of weight to lose, have had an unhealthy relationship with food for a long time or simply want longer term support and mentoring, one of my six month support courses would probably be more suitable for you. One 45 minute initial consultation and three 30 minute sessions with Vandhana Patel our fully qualified NHS bariatric dietician to provide you with an individualised eating plan at the beginning of your sessions and to support you through your journey. Normal price £800 or spread payments at £285 per month for 3 months. £650 for New Leaf clients or spread payments at £235 for 3 months. This package provides you with the very best support possible to enable you to have the very best chance of success. 6 months mentoring and support ensures that you stay on track not just in the short term but enables you to make real and lasting changes in both your behaviours around food and your weight and body image. Maintaining your changes after you finish your personalised daily coaching can sometimes be a challenge. Therefore I always suggest that clients continue with some coaching on a monthly basis after they have completed their course. The goal is to give you freedom from food and emotional eating, but we all have times where we forget the tools in our tool kit or just go off track. A monthly check in and accountability call can really help keep you motivated and on track. You can do these calls for as long as you feel that you need them. Some clients carry on for years and see this as a part of their bariatric support. The level of support that I provide my clients is so personal and in depth that I only ever work with 6 clients at any one time so that I can give each of you my undivided attention during your coached time with me. This enables me to make you a solemn promise that I will do everything possible to help you break free from food addiction and obsession once and for all. In order to provide my clients with the very best individual and in-depth daily support, I only ever work with 6 clients at any one time. If you are interested in working with me, please drop me an email with a contact number so that I can give you a free initial consultation to decide whether we both feel comfortable with each other and answer any questions that you may have. We can use the opportunity to decide when we are both free to start your coaching and answer any questions that you may have. You may have noticed that I provide a substantial fee discount for all New Leaf Weight Loss Surgery patients, this is my way of saying a huge thank you to Dr Hruby for literally giving me my life back. If it wasn’t for him I wouldn’t have the chance to do the work I am currently doing which I absolutely love and find so rewarding. Ultimately, you have been given a fantastic second chance with your surgery. However, changing the body does not change the mind. Give this life changing surgery the very best chance, don’t let your head get in the way of what your heart knows it really wants. Thank you for taking time to read this, I hope that I can help you to help yourself break free from food forever.